Just Announced Madison Concert: Under The Streetlamp, 6.12.12 | True Endeavors Presents: music, tours, tickets, mp3 downloads, concert pictures, videos, Madison WI. Tickets on sale this Friday, March 16 at 11am through our Music Calendar. America’s hottest new vocal group, Under the Streetlamp, delivers an electrifying evening of classic hits from the American Radio Songbook. 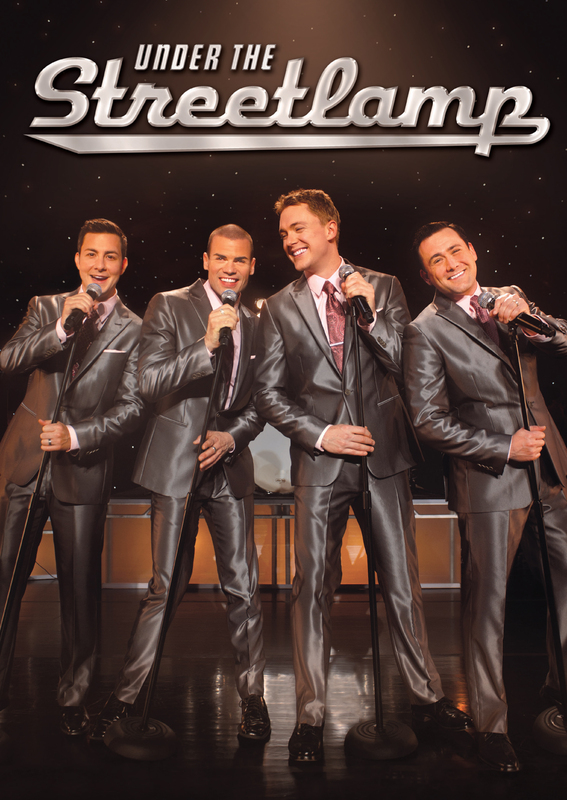 These four magnetic vocalists bring their unique blend of tight harmonies and slick dance moves to your favorite Doo-Wop, Motown, and old time Rock ‘n’ Roll hits from The Drifters, The Beach Boys, The Beatles, The Four Seasons, and more. The quartet is composed of recent leading cast members of the smash hit Jersey Boys: Michael Cunio, Michael Ingersoll, Christopher Kale Jones, and Shonn Wiley. Exuding the irresistable rapport of modern day Rat Pat, Under the Streetlamp proves why retro never sounded so now!